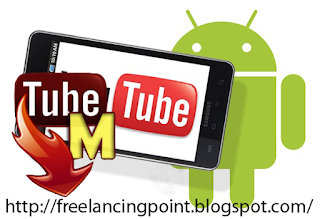 TubeMate YouTube Downloader for Android is easy to download and install. After that, users can launch a search on the videos they want to download from YouTube. All they have to do is to follow guides. This application enables a quick and fast downloading of videos that can be directly saved in your Android mobile phone. It is also packed with multiple options to customize your download. Downloading several files at once can be done easily. Not only it can search and download video files from YouTube but can also play them before and after download. With TubeMate YouTube Downloader for Android, users can also create their own playlists. Information about the video being downloaded or played is also available via the application's interface. Over and above, TubeMate YouTube Downloader for Android also supports ID3 tags for further information about the artist, title, album, etc.